Looking for movie tickets? 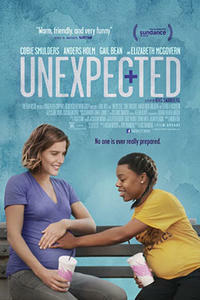 Enter your location to see which movie theaters are playing Unexpected near you. Samantha Abbott (Cobie Smulders), is a dedicated and passionate teacher at an inner-city Chicago high school. Just as she is coming to terms with her school closing, Samantha faces some life-changing and unexpected news: she is pregnant.